Louise dropped Megan off and we took her to the park for a bit before taking her home. Headed over to Manchester to the Etihad Stadium to see Bon Jovi. The show was awesome and the played a lot more of their hits rather than just banging out tune after tune from their latest album, so it was pretty good. One thing though, was that following a falling out, guitarist Richie Sambora wasn’t with them, and I felt the music suffered a little because of it. The guitar solos just weren’t as good as they were when Richie did them. But the whole show was awesome and I would definitely go see them again. 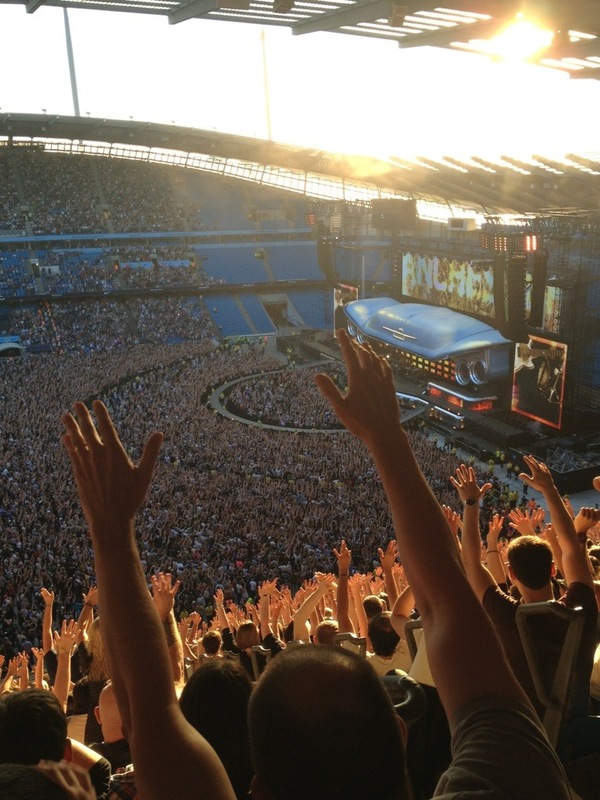 This entry was posted in 2013, 365, Music, Shows, TV and tagged Bon Jovi, David Bryan, Etihad Stadium, Jon Bon Jovi, Manchester City, Richie Sambora, Tico Torres. Bookmark the permalink.